For the amateur boxing competition, see Golden Gloves. For the first four seasons of the award (1957 to 1960), individual awards were presented to left fielders, center fielders, and right fielders. From 1961 through 2010, the phrase "at each position" was no longer strictly accurate, since the prize was presented to three outfielders irrespective of their specific position. Any combination of outfielders, often three center fielders, could win the award in the same year. Critics called for awarding a single Gold Glove for each individual outfield position, arguing that the three outfield positions are not equivalent defensively. Starting in 2011, separate awards for each outfield position were once again presented. In the 1985 American League voting, a tie for third-place resulted in the presentation of Gold Glove Awards to four outfielders (Dwayne Murphy, Gary Pettis, Dwight Evans and Dave Winfield); this scenario was repeated in the National League in 2007 (Andruw Jones, Carlos Beltrán, Aaron Rowand, and Jeff Francoeur). Before SABR's involvement in the voting process, The Boston Globe writer Peter Abraham said the Fielding Bible Awards "are far more accurate (and accountable)" than the Gold Glove awards since statistics are used along with the opinions of an expert panel. The Gold Gloves are selected by managers and coaches that may have seen a player as few as six times during the season. Bill Chuck of Comcast SportsNet New England wrote that Gold Glove voters frequently counted only errors to determine winners. Geoff Baker of The Seattle Times said the votes for the Gold Gloves rely largely on a player's past reputation. The Associated Press wrote that "some fans have viewed the Gold Gloves as mostly a popularity contest, even suggesting that a player's performance at the plate helped draw extra attention to his glove." After winning the AL Gold Glove at first base in both 1997 and 1998, Rafael Palmeiro won again in 1999 with the Texas Rangers while only appearing in 28 games as a first baseman; he played in 128 games as a designated hitter that season, resulting in a controversy. Derek Jeter, winner of five Gold Gloves, believes that many defensive factors cannot be quantified. In 2013, Rawlings collaborated on the Gold Glove Award with SABR, who provided the SABR Defensive Index (SDI) to add a sabermetric component to the selection process. The index accounted for 25 percent of the vote, while managers and coaches continued to provide the majority. Afterwards, Jay Jaffe of Sports Illustrated wrote that the Gold Gloves "appear to have significantly closed the gap on their more statistically-driven counterparts." SABR and FiveThirtyEight believed that the impact to the voting results by SDI, which is also included on the voters' ballots, went beyond its 25 own percent weight and also influenced the managers' and coaches' voting. 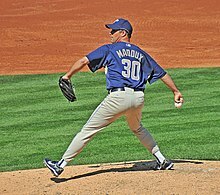 The most Gold Gloves ever won by one player is 18 by pitcher Greg Maddux. He won 13 consecutive awards from 1990 to 2002, all in the National League. Brooks Robinson has the most wins as a third baseman, with 16 Gold Gloves, and is tied for the second-highest total overall with pitcher Jim Kaat, who won his 16 awards consecutively. Iván Rodríguez has won the most Gold Gloves as a catcher, with 13 career awards in the American League. Ozzie Smith has 13 wins at shortstop; he and Rodríguez are tied for the fourth-highest total among all winners. Among outfielders, Roberto Clemente and Willie Mays, who played primarily right field and center field, respectively, are tied for the lead with 12 Gold Gloves. Keith Hernandez, the leader at first base, has won 11 times, and Roberto Alomar leads second basemen with 10 wins. Other players with 10 or more wins include shortstop Omar Vizquel (11), catcher Johnny Bench (10), third baseman Mike Schmidt (10), and outfielders Ken Griffey Jr., Ichiro Suzuki, Andruw Jones, and Al Kaline (10 each). The only player to win Gold Gloves as an infielder and outfielder is Darin Erstad, who won Gold Gloves as an outfielder in 2000 and 2002 and as a first baseman in 2004, all with the Anaheim Angels. The only other player to win Gold Gloves at multiple positions is Plácido Polanco, who won at second base (2007, 2009 AL) and third base (2011 NL). Family pairs to win Gold Gloves include brothers Ken and Clete Boyer (third base), brothers Sandy Alomar, Jr. (catcher) and Roberto Alomar (second base), Bengie and Yadier Molina (catcher), father and son Bobby and Barry Bonds (outfield), and father and son Bob (catcher) and Bret Boone (second base). In 2016, Rawlings announced it would begin awarding a gold glove annually to a female fastpitch softball player in the National Pro Fastpitch league. NPF coaches and managers vote for a winner (excluding those on their respective teams). This award is in addition to the collegiate and high school awards added in 2007, its 50th anniversary. 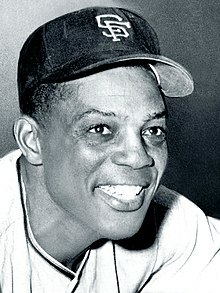 Willie Mays won 12 Gold Gloves and was elected to the all-time team. On February 20, 2007, Major League Baseball and Rawlings announced that an all-time Gold Glove Team would be named during the 50th anniversary of the first Gold Glove Awards. Rawlings asked 70 baseball reporters, former players and former managers to select 50 names for the ballot, from an initial selection of 250 names. The team was selected by fans, who voted at the Rawlings Gold Glove website, at United States Postal Service offices, and at sporting goods stores. The results were announced at the 2007 Major League Baseball All-Star Game. Iván Rodríguez and Kenny Rogers won Gold Gloves as batterymates in 2000, 2004, and 2006. Since 1957, there have been five Gold Glove batteries. The pitcher and catcher, collectively known as the battery, are the only two players on the field involved in every pitch. In particular, the pitcher and catcher control the running game with tools such as pickoffs or the strength of the catcher's throwing arm. The first pitcher and catcher on the same team to win Gold Gloves in the same year were Jim Kaat and Earl Battey, with the Minnesota Twins in 1962. Only two pairs of batterymates have won Gold Gloves together more than once: Iván Rodríguez and Kenny Rogers won with the Texas Rangers in 2000, and again with the Detroit Tigers in 2006. Yadier Molina and Adam Wainwright matched the feat, winning in both 2009 and 2013. In 2011, Rawlings added an annual Platinum Glove Award awarded to the best defensive player in each league as voted by fans. ^ From 1957 to 1960, and since 2011, individual awards were specified for left fielder, center fielder, and right fielder. From 1961 to 2010, the prize was presented to three outfielders irrespective of their specific position. ^ a b In 1957, Gold Gloves were given to the top fielders in Major League Baseball, instead of separate awards for the National and American Leagues; therefore, the winners are the same in each table. ^ a b Kinsler played 91 games at second base for the Angels before he was traded to the Boston Red Sox on July 30, 2018. ^ a b "A-Rod breaks Vizquel's streak; AL West earns eight of nine". Sports Illustrated. Associated Press. November 13, 2002. Archived from the original on 9 January 2014. Retrieved May 26, 2009. ^ "A.J. Andrews is first woman to win Gold Glove". MLB.com. Retrieved 2018-05-11. ^ a b "Rawlings Gold Glove Award Finalists Announced" (Press release). Rawlings. October 25, 2013. Archived from the original on January 9, 2014. ^ a b "Rawlings to Unveil Ballot". Rawlings. February 13, 2007. Archived from the original on February 5, 2009. Retrieved June 4, 2009. Members of the original 1957 Rawlings Gold Glove Team: Willie Mays, CF (New York Giants); Al Kaline, RF (Detroit Tigers); Minnie Minoso, LF (Chicago White Sox); Frank Malzone, 3B (Boston Red Sox); Nellie Fox, 2B (Chicago White Sox); Gil Hodges, 1B (Dodgers); Roy McMillan, SS (Cincinnati Reds); Sherm Lollar C (Chicago White Sox); and Bobby Shantz, P (New York Yankees). ^ "About the Award". Rawlings. Archived from the original on February 23, 2009. Retrieved June 4, 2009. ^ "National League Gold Glove Award Winners". Baseball-Reference.com. Retrieved June 4, 2009. ^ "American League Gold Glove Award Winners". Baseball-Reference.com. Retrieved June 4, 2009. ^ Gillette, Gary; Palmer, Pete; Gammons, Peter (2007). The ESPN Baseball Encyclopedia, Fourth Edition. Sterling Publishing. p. 1770. ISBN 978-1-4027-4771-7. Retrieved January 19, 2012. ^ a b Connolly, Dan (November 1, 2011). "Orioles' Markakis and Wieters win Gold Gloves". The Baltimore Sun. Archived from the original on November 3, 2011. ^ a b Kurkjian, Tim (2007). Is this a Great Game, Or What?. Macmillan. pp. 218–219. ISBN 0-312-36223-4. ^ Abraham, Peter (November 1, 2010). "Yadier Molina leads fifth annual "Fielding Bible Awards"". The Boston Globe. Retrieved November 10, 2010. These awards are far more accurate (and accountable) than the Gold Gloves in that statistics are employed along with the opinions of a large panel of experts. ^ a b Chuck, Bill (August 8, 2011). "Nation STATion: Playing the field". CSNNE.com. New England Cable News. Archived from the original on August 16, 2011. ^ Baker, Geoff (November 1, 2010). "Mariners eye Durham, Datz for coaching positions; Ichiro wins Fielding Bible Award". The Seattle Times. Retrieved November 11, 2010. Unlike the Gold Glove awards, chosen by coaches and based largely on reputation, the Fielding Bible Awards are picked by a panel of experts relying heavily on new-wave statistical analysis for defense. ^ "AL Gold Glove winners named". ESPN.com. Associated Press. November 10, 2010. Retrieved November 12, 2010. For years, some fans have viewed the Gold Gloves as mostly a popularity contest, even suggesting that a player's performance at the plate helped draw extra attention to his glove. ^ Luft, Jacob (September 17, 2003). "Baseball's rubber stamp". Sports Illustrated. Retrieved June 5, 2009. ^ Dierker, Larry (2006). My Team. Simon and Schuster. p. 13. ISBN 0-7432-7513-6. Retrieved June 5, 2009. ^ McKelvey, G. Richard (2004). All bat, no glove: A history of the designated hitter. McFarland. p. 160. ISBN 0-7864-1944-X. Retrieved June 5, 2009. ^ Kepner, Tyler (November 10, 2010). "Jeter's Gold Glove an Error, Metric Indicates". The New York Times. p. B19. Retrieved November 10, 2010. Jeter—like many players—dismisses defensive statistics as meaningless because of the many factors that cannot be quantified. ^ Jaffe, Jeff (October 30, 2013). "Gold Gloves join the stat revolution and it's harder to quibble with the winners". Sports Illustrated. Archived from the original on October 11, 2014. ^ Paine, Neal; Bialik, Carl (November 11, 2015). "The Gold Gloves Are Finally Going To The Best Fielders". FiveThirtyEight. Archived from the original on November 16, 2015. ^ "Greg Maddux Statistics and History". Baseball-Reference.com. Retrieved June 4, 2009. ^ "Brooks Robinson Statistics and History". Baseball-Reference.com. Retrieved June 4, 2009. ^ "Jim Kaat Statistics and History". Baseball-Reference.com. Retrieved June 4, 2009. ^ "Iván Rodríguez Statistics and History". Baseball-Reference.com. Retrieved June 4, 2009. ^ "Ozzie Smith Statistics and History". Baseball-Reference.com. Retrieved June 4, 2009. ^ "Roberto Clemente History and Statistics". Baseball-Reference.com. Retrieved June 4, 2009. ^ "Willie Mays Statistics and History". Baseball-Reference.com. Retrieved June 4, 2009. ^ "Keith Hernandez Statistics and History". Baseball-Reference.com. Retrieved June 4, 2009. ^ a b "Roberto Alomar Statistics and History". Baseball-Reference.com. Retrieved June 4, 2009. ^ "Omar Vizquel Statistics and History". Baseball-Reference.com. Retrieved June 4, 2009. ^ "Johnny Bench Statistics and History". Baseball-Reference.com. Retrieved June 4, 2009. ^ "Mike Schmidt Statistics and History". Baseball-Reference.com. Retrieved June 4, 2009. ^ "Ken Griffey Statistics and History". Baseball-Reference.com. Retrieved June 4, 2009. ^ "Ichiro Suzuki Statistics and History". Baseball-Reference.com. Retrieved November 10, 2010. ^ "Andruw Jones Statistics and History". Baseball-Reference.com. Retrieved June 4, 2009. ^ "Al Kaline Statistics and History". Baseball-Reference.com. Retrieved June 4, 2009. ^ "Darin Erstad Statistics and History". Baseball-Reference.com. Retrieved June 4, 2009. ^ Ladson, Bill (November 2, 2011). "Polanco's Gold Glove puts him in elite company". Phillies.MLB.com. Archived from the original on November 5, 2011. Retrieved November 6, 2011. ^ "Ken Boyer Statistics and History". Baseball-Reference.com. Retrieved June 24, 2009. ^ "Clete Boyer Statistics and History". Baseball-Reference.com. Retrieved June 24, 2009. ^ "Bengie Molina Statistics and History". Baseball-Reference.com. Retrieved April 26, 2010. ^ "Yadier Molina Statistics and History". Baseball-Reference.com. Retrieved April 26, 2010. ^ "Bobby Bonds Statistics and History". Baseball-Reference.com. Retrieved June 24, 2009. ^ "Barry Bonds Statistics and History". Baseball-Reference.com. Retrieved June 24, 2009. ^ "Bob Boone Statistics and History". Baseball-Reference.com. Retrieved June 24, 2009. ^ "Bret Boone Statistics and History". Baseball-Reference.com. Retrieved June 24, 2009. ^ Boren, Cindy (2016-09-18). "Former Countryside softball star A.J. Andrews first female Gold Glove winner | Tampa Bay Times". Tampabay.com. Retrieved 2017-06-05. ^ "First-Ever Female Athlete to Win Rawlings Gold Glove Award®". PR Newswire. 11 August 2016. Retrieved 14 August 2016. ^ "NPF's A.J. Andrews receives MLB Rawlings Gold Glove, standing ovation". espnW. ^ "Goodacre wins second annual Rawlings Gold Glove Award for Softball". STL.com. 18 August 2017. Retrieved 19 August 2017. ^ News, Special to the O.-A. "Former Tigers earn postseason awards from National Pro Fastpitch". OANow.com. ^ Stier, Kit (February 20, 2007). "All-time Gold Glove team to be named". Major League Baseball. Retrieved May 26, 2009. ^ "Fans to vote on all-time Gold Glove team". ESPN.com. Associated Press. February 19, 2009. Retrieved May 26, 2009. ^ "Wes Parker surprise addition to all-time Rawlings Gold Glove team". ESPN.com. Associated Press. August 22, 2007. Retrieved May 26, 2009. ^ Dickson, Paul (2009). The Dickson Baseball Dictionary (3 ed.). W. W. Norton and Company. p. 268. ISBN 978-0-393-06681-4. ^ Curran, Mike; Newman, Ross & Lopez, Andy (2007). Coaching Baseball Successfully. Human Kinetics. p. 109. ISBN 978-0-7360-6520-7. ^ "1959 Chicago White Sox Batting, Pitching, & Fielding Statistics". Baseball-Reference.com. Retrieved June 10, 2009. ^ "1960 Chicago White Sox Batting, Pitching, & Fielding Statistics". Baseball-Reference.com. Retrieved June 10, 2009. ^ "1966 Pittsburgh Pirates Batting, Pitching, & Fielding Statistics". Baseball-Reference.com. Retrieved June 10, 2009. ^ "1967 Pittsburgh Pirates Batting, Pitching, & Fielding Statistics". Baseball-Reference.com. Retrieved June 10, 2009. ^ "1967 California Angels Batting, Pitching, & Fielding Statistics". Baseball-Reference.com. Retrieved June 10, 2009. ^ "1969 Baltimore Orioles Batting, Pitching, & Fielding Statistics". Baseball-Reference.com. Retrieved June 10, 2009. ^ "1971 Baltimore Orioles Batting, Pitching, & Fielding Statistics". Baseball-Reference.com. Retrieved June 10, 2009. ^ "1973 Baltimore Orioles Batting, Pitching, & Fielding Statistics". Baseball-Reference.com. Retrieved June 10, 2009. ^ "1974 Baltimore Orioles Batting, Pitching, & Fielding Statistics". Baseball-Reference.com. Retrieved June 10, 2009. ^ "1975 Baltimore Orioles Batting, Pitching, & Fielding Statistics". Baseball-Reference.com. Retrieved June 10, 2009. ^ "1976 Baltimore Orioles Batting, Pitching, & Fielding Statistics". Baseball-Reference.com. Retrieved June 10, 2009. ^ "1974 Cincinnati Reds Batting, Pitching, & Fielding Statistics". Baseball-Reference.com. Retrieved June 10, 2009. ^ "1975 Cincinnati Reds Batting, Pitching, & Fielding Statistics". Baseball-Reference.com. Retrieved June 10, 2009. ^ "1976 Cincinnati Reds Batting, Pitching, & Fielding Statistics". Baseball-Reference.com. Retrieved June 10, 2009. ^ "1977 Cincinnati Reds Batting, Pitching, & Fielding Statistics". Baseball-Reference.com. Retrieved June 10, 2009. ^ "1983 Detroit Tigers Batting, Pitching, & Fielding Statistics". Baseball-Reference.com. Retrieved June 10, 2009. ^ "1984 Detroit Tigers Batting, Pitching, & Fielding Statistics". Baseball-Reference.com. Retrieved June 10, 2009. ^ "1999 Cleveland Indians Batting, Pitching, & Fielding Statistics". Baseball-Reference.com. Retrieved June 10, 2009. ^ "2000 Cleveland Indians Batting, Pitching, & Fielding Statistics". Baseball-Reference.com. Retrieved June 10, 2009. ^ "2001 Cleveland Indians Batting, Pitching, & Fielding Statistics". Baseball-Reference.com. Retrieved June 10, 2009. ^ "2002 St. Louis Cardinals Batting, Pitching, & Fielding Statistics". Baseball-Reference.com. Retrieved June 10, 2009. ^ Stephens, Bailey (November 9, 2010). "Ichiro wins 10th straight Gold Glove". MLB.com. Retrieved November 9, 2010. ^ "2016 San Francisco Giants Batting, Pitching, & Fielding Statistics". Baseball-Reference.com. Retrieved November 8, 2016. ^ "2018 Los Angeles Angels Batting, Pitching, & Fielding Statistics". Baseball-Reference.com. Retrieved November 4, 2018. ^ Stallings, Jack; Bennett, Bob (2003). Baseball strategies: American Baseball Coaches Association. American Baseball Coaches Association. Human Kinetics. p. 19. ISBN 0-7360-4218-0. ^ "1962 Minnesota Twins Batting, Pitching, & Fielding Statistics". Baseball-Reference.com. Retrieved June 10, 2009. ^ "1985 Pittsburgh Batting, Pitching, & Fielding Statistics". Baseball-Reference.com. Retrieved June 10, 2009. ^ "1989 Kansas City Royals Batting, Pitching, & Fielding Statistics". Baseball-Reference.com. Retrieved June 10, 2009. ^ "2000 Texas Rangers Batting, Pitching, & Fielding Statistics". Baseball-Reference.com. Retrieved June 10, 2009. ^ "2006 Detroit Tigers Batting, Pitching, & Fielding Statistics". Baseball-Reference.com. Retrieved June 10, 2009. ^ "2009 St. Louis Cardinals Batting, Pitching, & Fielding Statistics". Baseball-Reference.com. Retrieved June 10, 2009. ^ "2013 St. Louis Cardinals Batting, Pitching, & Fielding Statistics". Baseball-Reference.com. Retrieved October 29, 2013. ^ "Platinum Glove Award". BaseballAlmanac. March 25, 2013. Retrieved 2013-11-04. Wikimedia Commons has media related to Rawlings Gold Glove Award.